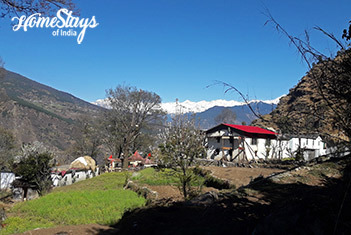 Ukhimath is known as winter abode of the Lord Kedarnath and Madhyamaheshwar (second Kedar) when they are brought here from their respective temples. According to Hindu mythology, wedding of Usha (Daughter of Vanasur) and Anirudh (Grandson of Lord Krishna) was solemnized here. 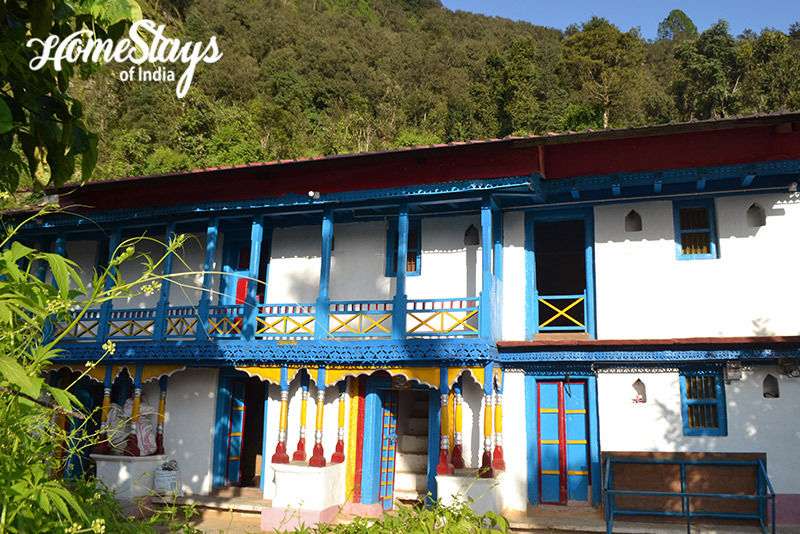 By name of Usha this place was named as Ushamath, now known as Ukhimath, its located 182 km north-east of yoga city Rishikesh. Ukhimath is used as base for visiting Madhmaheshwar (Second kedar), Tungnath (Third kedar) and Deoria Tal (a natural fresh water lake) and many other picturesque places. This 60 year old traditional Pahadi house was built by Sh. Jagan Nath Singh, a Brahmin who remained associated with Kedarnath temple all his life. Nestled in dense forests of Oaks, Rhododendron, Myrica, Pyrus etc., it is recently renovated by his grandson Kailash Puspwan. 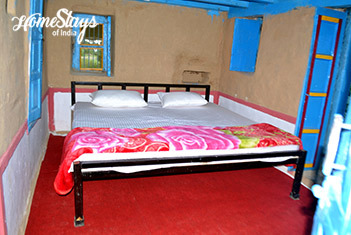 Its located 10 minutes walk up from the village on the old trek route to the famed Deoria Tal and Kedarnath. 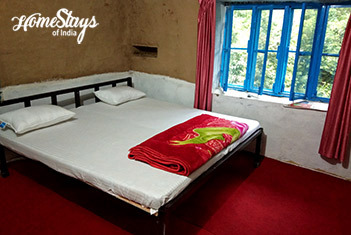 It’s a perfect base for trekking and adventure activities to nearby places in Himalayas. 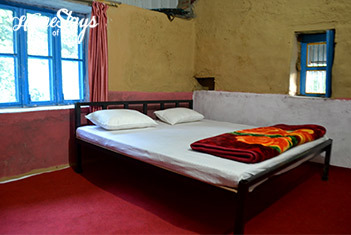 It has 2 set of 4 bedded room on the first floor, kitchen and dining on the ground floor and two toilet. Kailash serve delicious fresh and healthy local and north Indian vegetarian food. 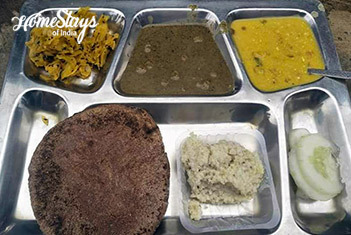 There is a variety of Paratha with Chhole, Alu Poori, local pickle, seasonal organic vegetable, local pulses, and traditional Garhwali food. Don’t forget to as pahadi special sweet dish Zhangora Khir after dinner.